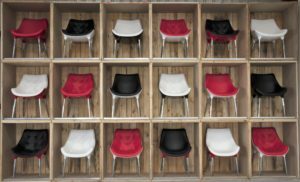 Modern & stylish visitor chair available in different colour combinations suitable for the home office or business environment. Outer hard shell is available in Black, White & Red. Inner seat cushion is similarly available in solid Black, White & Red design, and comes with a trendy button design.